Canadian Foreign Minister John Baird slams ICC bid as 'provocative,' urges return to bilateral negotiations. 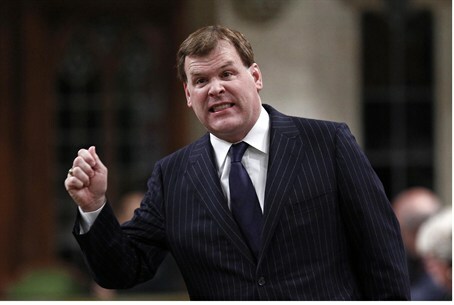 Canadian Foreign Minister John Baird condemned the Palestinian Authority (PA)'s application to the International Criminal Court (ICC) Thursday, calling the decision "dangerous" and urging the PA to return to bilateral negotiations. “The decision by the Palestinian Authority to seek to unilaterally accede to the Rome Statute of the International Criminal Court, among other international bodies, is a concerning and dangerous development," Baird said. “Such a provocative decision only furthers the divide between Palestinians and Israelis, and will carry unfortunate consequences. Canada has expressed these concerns directly to the Palestinian Authority for nearly four years now." The Palestinian Authority (PA) formally presented a request to the United Nations on Friday to join the ICC, a move firmly opposed by Israel and the United States as well. Baird has been a staunch supporter for Israel. Recently, he became another voice joining calls urging the United Nations Security Council to vote down the PA's draft resolution calling for an imposed solution on the Arab-Israeli conflict. Last month, he also stated that he was "disappointed" in an international conference in Geneva that was held on the Palestinian Authority 'issue,' stating that “Canada is deeply disappointed by the convening of this one-sided and politicized conference, which serves only to single out one country, Israel, for criticism."